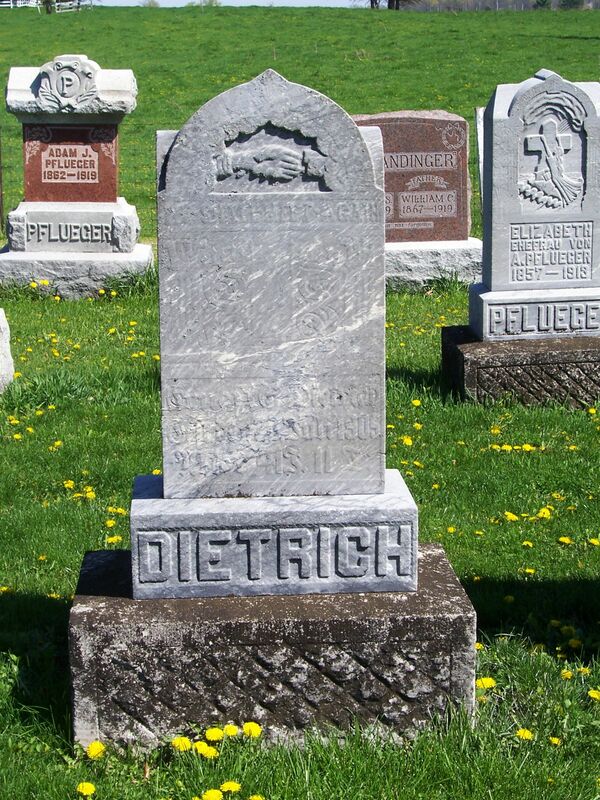 Ernest G. Dietrich, died 20 July 1905, aged 41 years, 11 days. Christened Georg Ernst Dietrich, “Ernest” was born near Schumm, Van Wert County, Ohio, on 9 July 1864. He was the sixth child born to Adam and Maria (Germann) Dietrich. Ernest was baptized at home on 17 July 1864, with Mr. and Mrs. Jacob Germann, George Wambsganss, and Elisabeth Germann serving as his sponsors. Most records indicate that he went by the name of Ernest, although some, including Zion Schumm’s records, show his name as Ernst. Ernest’s mother Maria died a few years later, on 28 November 1888, and is buried in row 5 of Zion Schumm’s cemetery. His father did not remarry. Ernest Dietrich married “Clara” Rosina Schumm at Zion Lutheran, Schumm, on 14 August 1898. Clara (1875-1936) was the daughter of “River Henry” Schumm and his first wife, Rosina (Schinnerer). Both families attended church at Zion Schumm. Ernest and Clara had three more children, all daughters, before Ernest died of gall bladder disease on 20 July 1905. He was 41 years and 11 days old and was buried on the 23rd, according to Zion Schumm’s records. His Van Wert County death record indicates he died of liver cancer on the 25th. Their youngest child, Louise Wilhelmine, was only a few months old when Ernest died. Ernest Dietrich’s widow Clara (Schumm) married Carl Merkle in 1908 and they went on to have two children of their own, Hugo and Velma. 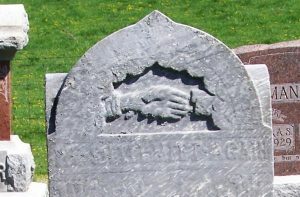 The upper portion of Ernest’s tombstone is a nice example of clasped hands, which often symbolizes marriage. The cuff on the left looks like a man’s shirt cuff and the one on the right like a lady’s cuff. Inscribed below the hands is WE SHALL MEET AGAIN. 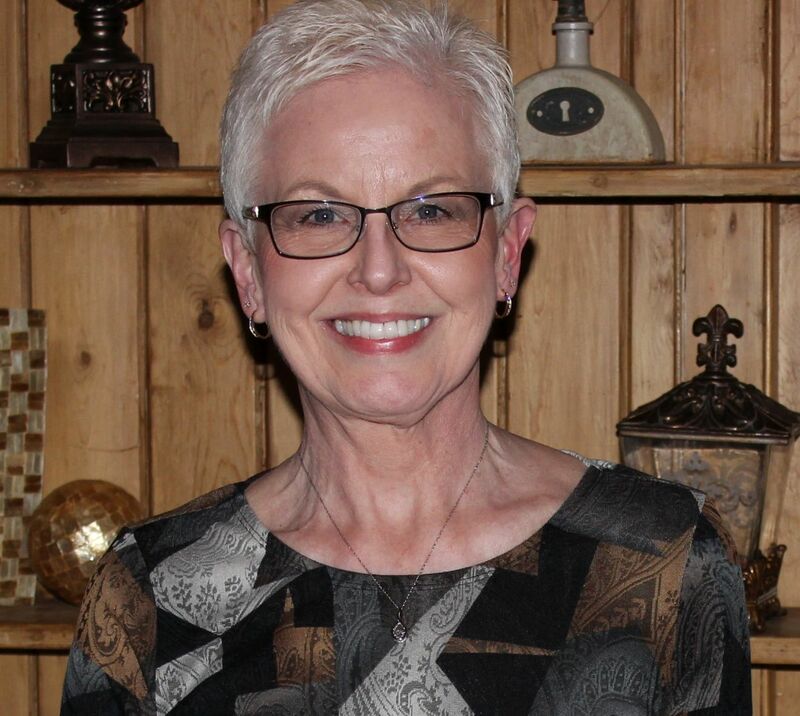 “Ohio, County Marriages, 1789-2013,” database with images, FamilySearch (https://www.familysearch.org/ark:/61903/3:1:9392-S57T-P2?i=103&cc=1614804 : viewed 4 Feb 2019), Ernest G. Detrick and Clara Schumm, 14 Aug 1898; Van Wert Marriages, Vol. 9:143. And Zion Schumm’s marriage records. 1900 U.S. Census, Willshire, Van Wert, Ohio, ED 98, p.310A (stamped), dwelling 211, family, 216, Ernest Dietrich; digital image by subscription, Ancestry.com (https://www.ancestry.com/search/collections/1900usfedcen/?name=adam_dietrich&birth=1828_germany_3253&birth_x=1-0-0&residence=_van+wert-ohio-usa_2983 : viewed 14 Jan 2019). “Ohio, County Death Records, 1840-2001,“ database with images, FamilySearch (https://www.familysearch.org/ark:/61903/3:1:S3HY-6725-BD?i=611&cc=2128172 : viewed 4 Feb 2019) Ernest G. Dietrich, 25 Jul 1905, Van Wert County, p.52.